Kevin Benham, assistant professor at the Robert Reich School of Landscape Architecture, was a resident of ARNA (Art and Nature residency) in Sweden in 2017-18. Benham’s interest in biology was the starting point of a collaborative project between Benham, ARNA, and environmental restoration project Sandlife. 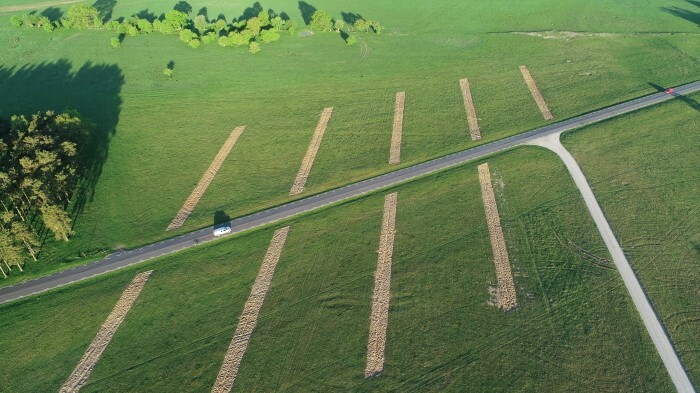 His land art project, titled Broken Kilometer, acts simultaneously as a piece of art and a catalyst for increased biodiversity. 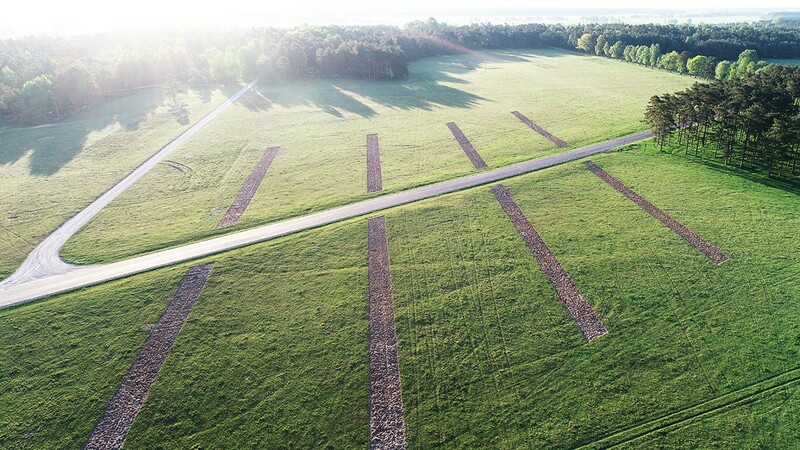 “This land work, a kilometer long cut in the earth that is broken into ten sections, celebrates the tradition of land art while simultaneously fostering increased biodiversity and a greater relationship between these disparate entities,” Benham said. His research work focuses on landscape phenomena and the temporal qualities inherent in the discipline. To that end, Benham produces temporal and ephemeral installations that elucidate phenomena requiring careful observation through space and time. 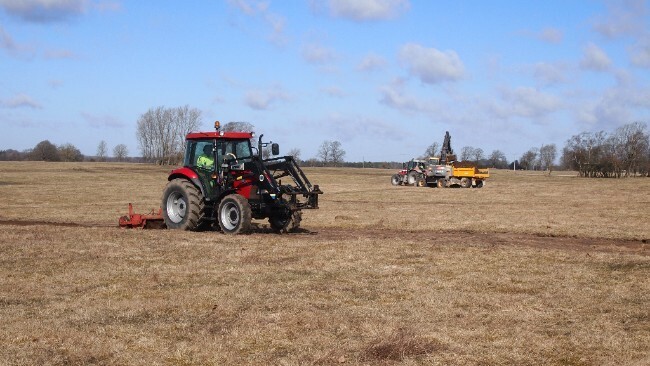 The Broken Kilometer site, located on the Swedish army’s training field Revingehed, in Skåne, Sweden, is rich in agricultural history and has particular factors that influence the environment in current day. Interestingly, the Swedish military regiment’s activities increased biodiversity in the local ecosystem, Benham shared. “In the past, the Swedish Army would periodically practice maneuvers with tanks over the fragile layer of soil and lay waste to the land. This ecological disturbance actually contributed to the biological diversity of Revingehed, and as a consequence, the area has one the richest biodiversity in Sweden,” he explained. In the past few years, the military operations at Revingehed have decreased and there have been fewer ecological disturbances. 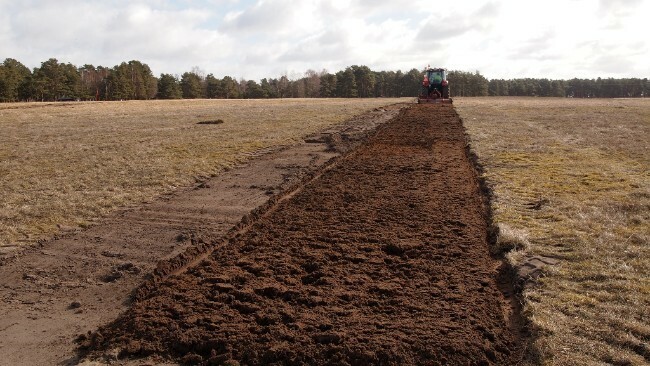 In response, Benham worked collaboratively with ARNA and Sandlife, a project to restore habitats for endangered sand-living animals and plants, to create the land art piece Broken Kilometer. Benham has exhibited his conceptual work throughout the world, including exhibits at the Royal Institute of British Architects, London, England; CUBE Gallery, Manchester England; Zurich, Switzerland; New Orleans, Louisiana; and Scottsdale, Arizona. He is the recent recipient of a Windgate Foundation Fellowship at Haystack on Deer Isle Maine and an Edward Albee Foundation Fellowship in Montauk, New York. He holds the Jon Emerson/Wayne Womack Design Professorship at the LSU Robert Reich School of Landscape Architecture. He received his MLA from the Graduate School of Design at Harvard University and his MArch at the Taubman College of Architecture and Urban Planning, The University of Michigan. He has taught interdisciplinary studios at academic institutions including the University of Michigan, Wentworth Institute of Technology, the Boston Architectural College, and LSU.